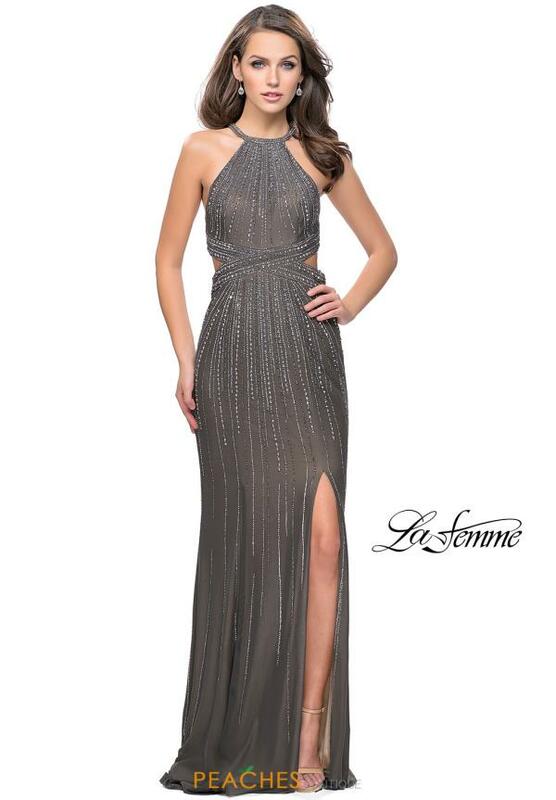 This gorgeous runway worthy Gigi prom dress 26057 is sure to help you make a memorable night. The fitted gown showcases a halter neckline and side cut outs that accentuate your curves. The slim skirt reveals a modest front side slit and the entire gown is embellished with radiant beads that will make sure you sparkle throughout the night. For more styles like this visit Peaches Boutique in Chicago.